A new book, Moonwalking with Einstein: The Art and Science of Remembering Everything , has been creating some buzz recently. The book (I haven’t read it) is apparently about a journalist’s year of memory training that culminated in him making the finals of the U.S.A. Memory Championships. Clearly this sort of achievement resonates with a lot of people — presumably because of the widespread perception that forgetfulness is a modern-day plague, for which we must find a cure. Let’s look at some of the points raised in the book and the discussion of it. There’s the issue of disuse. It’s often argued that technology, in the form of mobile phones and computers, means we no longer need to remember phone numbers or addresses. That calculators mean we don’t need to remember multiplication tables. That books mean we don’t need to remember long poems or stories (this one harks back to ancient times — the oft-quoted warning that writing would mean the death of memory). Some say that we have forgotten how to remember. 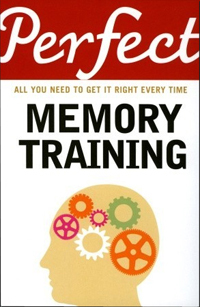 The book recounts the well-known mnemonic strategies habitually used by those who participate in memory championships. 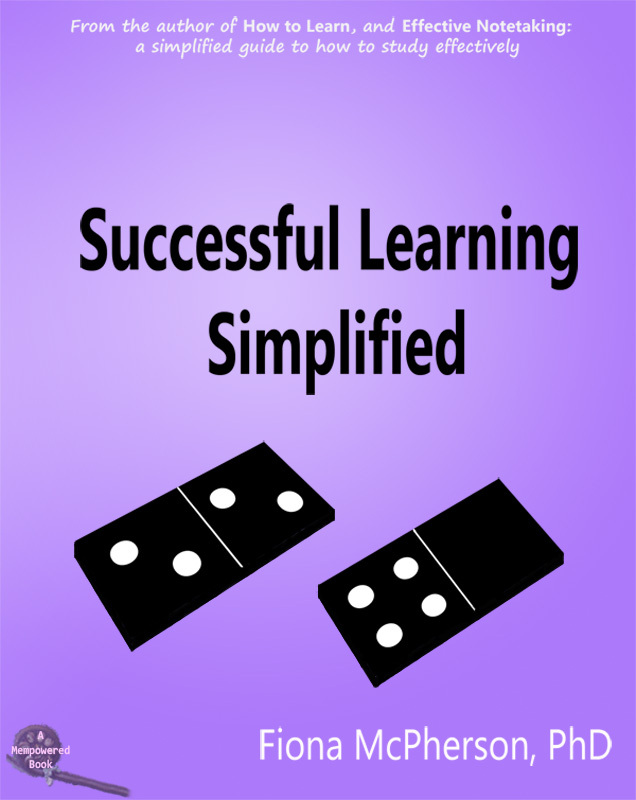 These strategies, too, date back to ancient times. And you know something? Back then, just like now, only a few people ever bothered with these strategies. Why? Because for the most part, they’re far more trouble than they’re worth. Now, this is not to say that mnemonic strategies are of no value. They are undoubtedly effective. But to achieve the sort of results that memory champions aspire to requires many many hours of effort. Moreover, and more importantly, these hours do not improve any other memory skills. That is, if you spend months practicing to remember playing cards, that’s not going to make you better at remembering the name of the person you met yesterday, or remembering that you promised to pick up the bread, or remembering what you heard in conversation last week. It’s not, in fact, going to help you with any everyday memory problem. Does it matter that we can’t remember phone numbers? It’s argued that being unable to remember the phone numbers of even your nearest and dearest, if your phone has a melt-down, is a problem — although I don’t think anyone’s arguing that it’s a big problem. But if you are fretting about not being able to remember the numbers of those most important to you, the answer is simple, and doesn’t require a huge amount of training. Just make sure you make the effort to recall the number each time before you use it. After a while it’ll come automatically, and effortlessly, to mind (assuming that these are numbers you use often). If there’s a number you don’t use often, but don’t want to write down or record digitally, then, yes, a mnemonic is a good way to go. But again, you don’t have to get wildly complicated about it. The sort of complex mnemonics that memory champs use are the sort required for very fast encoding of many numbers, words, or phrases. For the occasional number, a few simple tricks suffice. Shopping lists are another oft-quoted example. Sure, we’ve all forgotten to buy something from the supermarket, but it’s a long way from that problem and the ‘solution’ of complicated mnemonic images and stories. Personally, I find that if I write down what I want from the shop, then that’s all I need to do. Having the list with you is a reassurance, but it’s the act of writing it down that’s the main benefit. But if someone else in the household adds items, then that requires special effort. Similarly, if the items aren’t ‘regular’ ones, then that requires a bit more effort. I have an atavistic attachment to multiplication tables, but is it really important for anyone to memorize them anymore? A more important skill is that of estimation — where so many people seem to fall down is in not realizing, when they perform a calculation inaccurately, that the answer is unlikely and they’ve probably made an error. More time getting a ‘feel’ for number size would be time better spent. Does it matter if we can’t remember long poems? Well, I do favor such memorization, but not because failing to remember such things demonstrates “we don’t know how to remember anymore” . I think that memorizing poems or speeches that move us ‘furnishes the mind’, and plays a role in identity and belongingness. 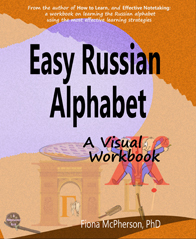 But you don’t need , and arguably shouldn’t use, complex mnemonic strategies to memorize them. If you want to ‘have’ them — and it has been argued that it is only by memorizing a text that you can make it truly yours — then you are better spending time with it in a meaningful way. You read it, you re-read it, you think about it, you recite the words aloud because you enjoy the sound of the words, you repeat them to friends because you want to share them, you dwell on them. You have an emotional attachment, and you repeat the words often. And so, they become yours, and you have them ‘in your heart’. Memorizing a poem you hate because the teacher insists is a different matter entirely! And though you can make the case that children have to be forced to memorize such verse until they realize it’s something they like, I don’t think that’s true. Children ‘naturally’ memorize verse and stories that they like; it’s forced memorization that has engendered any dislike they feel. Anyway, that’s an argument for another day. Let’s return to the main issue: have we forgotten how to remember? We remember naturally. We forget naturally too. Both of these are processes that happen to us regardless of our education, of our intelligence, of our tendencies to out-source part of our memory. We have the same instinctive understanding of how to remember that we have always had, and the ability to remember long speeches or sagas is, as it has always been, restricted to those few who want the ability (bards, druids, Roman politicians). It’s undeniably true that we forget more than our forebears did — but we remember more too. The world’s a different place, and one that puts far greater demands on memory than it ever did. But the answer’s not to pine after a ‘photographic memory’, or the ability to recite the order of a deck of playing cards after seeing them once. For almost all of us, that ability is too hard to come by, and won’t help us with any of the problems we have anyway. 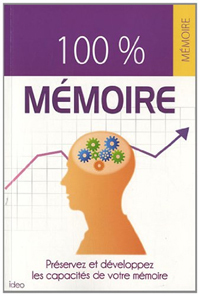 The author of this memoir is reported as saying that the experience taught him “to pay attention to the world around” him, to appreciate the benefits of having a mental repository of facts and texts, to appreciate the role of memory in shaping our experience and identity. These are all worthwhile goals, but you can rest assured that there are better, more enjoyable, ways of achieving them. There are also better ways of improving everyday memory. And perhaps most importantly, better ways of achieving knowledge and expertise in a subject. Mnemonics are an effective strategy for memorizing meaningless and arbitrary information, and they have their place in learning, but they are not the best method for learning meaningful information. Let me add that by no means am I attacking Joshua Foer’s book, memory championships, or those who participate in them. I’m sure the book is an entertaining and enlightening read; memory championships are fully as worthwhile as any sport championship; those who participate in them have a great hobby. I have merely used this event as a springboard for offering some of my thoughts on the subject. I was also impressed to learn that he’d taken advice from that expert on expertise, K. Anders Ericsson. And the article has a very good discussion on how to practice, and Ericsson’s work on what he calls deliberate practice (although Foer doesn’t use that name). Brilliant. I agree with every utterance. If I had a penny for every student who tells me he/she has a poor memory I would be very rich. I don't blame them not remembering those silly tests given by specialist tutors and ed psychs. I am glad to say I use the strategies she cites - thirty years of teaching and not being a brilliant scholar myself have held me in good stead. It also makes me angry to see how many charlatans there are out there making money on the backs of people who have been taught only to see their weaknesses. I think what we do not do routinely nowadays is practice recalling things. That introduces several questions. One is does that lack of practice recalling impair the ability to recall? (Probably). ANd then, does not having our recall techniques well practiced cause us problems in our modern world with so many external places to store memories? I suppose if you have not practiced your sister's phone number because you have put in your cell phone memory, you might notice a problem when your battery is dead and you want to call her on a pay phone. My young nephew has a survival manual on his smart phone. I asked him what he would do if the phone systems were totally scrambled by electromagnetic effects of a nuclear weapon. He said he did not know. I suggested he memorize the manual. Another question is do all of our modern external storagesystems make us more vulnerable? It would seem so. So maybe we need folks like Josh to be able to encode culture for the post apocalypse. But the danger of our culture now is that even Josh finds it easier to plug the number in his cell phone.Perhaps we can persuade folks to memorize important parts of culture. So the contingencies set us up to avoid practicing recalling. That may not be so good. Or did I mention that already? Let me read back to the earlier part of my comment and see. Good points, Terry! It's an interesting question, this one of recall practice. There are, I think, two relevant answers. One is that recall (or retrieval) strategies are very few. There's the old favorite, going through the letters of the alphabet, hoping a word will be triggered. There's "retrace your steps" (either actual or metaphorical). There's the free-association / brainstorming strategy. But basically, recall strategies are about trying to happen on the right trigger. Memory strategies are almost entirely about encoding -- ways of constructing your memory code, or ways of connecting your memory code, that will facilitate its later recall. So my point is, retrieval strategies don't need practice in the way encoding / connection strategies do. But that's not to say they don't need any practice. I'm inclined to agree with you that if you don't ever use retrieval strategies (either something 'pops into your head' or it doesn't), then you'll be disadvantaged if you ever decide to try and retrieve something that isn't immediately available (if only because you have no idea what to do!). And there's probably some small effect of practice, but, because these really aren't sophisticated strategies, the effect of practice is very limited. My second point is from a completely different direction, namely, the value of practicing retrieval for specific information (as opposed to the general skill value of practicing retrieval). Here, of course, the answer is the opposite. Retrieving information is absolutely crucial to learning/memorizing information. So, yes, if you never practice retrieving your friend's phone number, you're very unlikely to remember it (unless there's some mnemonic trick to it -- like happening to be your birthdate). And undeniably the more you practice retrieving that number, the easier it will become. On your more general point about people memorizing bits of culture, I'm reminded of a post-apocalyptical novel called A canticle for Leibowitz, about an order of monks who memorize whole books after the 'Simplification', when books and scholars were destroyed. Put that with the idea that it is only by memorizing a text that you can make it truly yours, and you could come up with a new approach to education -- that education is about finding the texts that you want to define you, and graduation (like an apprentice doing is journeyman piece) is about reshaping and adding to those texts to create a new text that is yours.